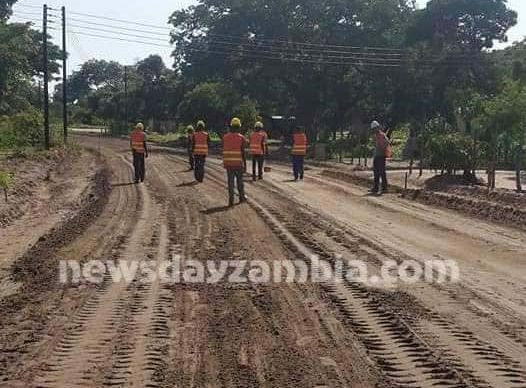 WESTERN Province Permanent Secretary Sibanze Simuchoba says construction of feeder roads under the Cashew Infrastructure Development Project (CIDP) in the province have advanced. Simuchoba, who inspected the road works in Sikongo and Kalabo districts, said government and the entire provincial administration had pledged exemplary commitment to the success of CIDP. And Sikongo District Agricultural Coordinator Boyd Mutengo said the construction of feeder roads leading to the cashew and agricultural hub of the district had motivated a lot of farmers. Meanwhile, Sikongo District Commissioner Bright Tombi said the PF government pledged to diversify the economy from being mining dominated to agricultural and tourism dominated.